The Best of Organic Market Awards are the UK’s only dedicated organic awards celebrating people and businesses working to produce the best of Organic food. This year we are also excited to partner with Rosie Birkett the awards BOOMbassador. We have two delicious recipes one with meat one without, created for the launch of the awards and we would love for you to try them yourself and embrace organic cooking. We want to let the public know that this year they can have their say, the BOOMs Nation’s Favourite Award asks the people to find and vote for their most popular organic product. 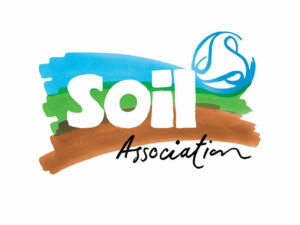 Nominations are open NOW until to Wednesday, May 31st – make sure you have your say here: www.soilassociation.org/BOOMAwards – we want to get people voting! We would love for you cook the recipe, speak about organic cooking and food if this is of interest to you and importantly let people know how they can get involved with the BOOMs Nation’s Favourite Award. The two recipes are below and having tried both they are delicious – do get in contact if you would like to try them out!? Heat the olive oil over a medium to high heat. Add the thyme, bay leaf and parsley stalks and stir, cooking for a minute or two to infuse the oil, then add the diced veg and cook, stirring for 10–15 minutes, until softened and smelling good. Add the plum tomatoes and cook for a couple more minutes before adding a litre of water, vinegar and the kale stalks, and bring to the boil. Reduce to a simmer and cook for another 10–15 minutes, allowing all the flavours to infuse. During this time, make the meatballs. Toast the spices and peppercorns in a dry frying pan for a few minutes, until they start to crackle. Pound them up in a spice grinder or pestle and mortar. Place the beef and pork mince into a large mixing bowl with the spices and other ingredients and mix well with clean hands. If the mix seems a bit dry add a little olive oil. Oil your hands and shape into balls. Add the shredded kale and orzo to the soup and stir, followed by the meatballs, and cook until the pasta and meatballs are done. Dish into soup bowls and garnish with fresh herbs, lemon zest and grated cheddar. Serve with good sourdough. Recipe by Rosie Birkett, cook, food writer, stylist, journalist, author and this year’s BOOMBASSADOR. Heat the olive oil over a medium to high heat. Add the thyme, bay leaf and parsley stalks and stir, cooking for a minute or two to infuse the oil, then add the diced veg and cook, stirring for 10–15 minutes, until softened and smelling good. Add the plum tomatoes and cook for a couple more minutes before adding a litre of water, vinegar and the kale stalks, and bring to the boil. Reduce to a simmer and cook for another 10–15 minutes, allowing all the flavours to infuse. During this time, make the dumplings. Dry fry the spices in a frying pan until they start to crackle. Remove and grind in a pestle and mortar. Wash the spinach and then wilt in a nonstick frying pan over a medium heat. There should be enough residual water on the spinach to mean that you don’t need to add any oil or water. After a couple of minutes, once wilted, transfer the spinach to a sieve and leave over the sink to drain. Press down on the leaves with a wooden spoon to squeeze out any excess water. Once cooled and drained, chop finely. Place the ricotta in a bowl and add all of the other ingredients. Season with salt and pepper and stir well to combine and incorporate all the ingredients. Oil your hands lightly with olive oil and shape them into meatball sized balls. Poach them in the minestrone. Alternatively, you could bring a pan of water to the boil and cook them in the boiling water for 5 minutes, until they float – removing them with a slotted spoon.